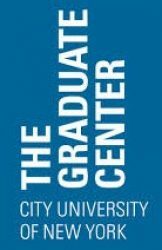 Required for Graduate Center Fellows before teaching as GTFs; non-registered, non-credit workshop. GC: F, 2:00-4:00pm, Rm 6496 Dates TBA; non-registered, non-credit. GC: F, 4:15 – 6:15pm, Rm. C415A, 0cr  Dates of colloquia TBA. Open only to GC Level 1 Cultural Anthropology Doctoral Students. Fulfills cultural area course requirement. Cross listed with ASCP. NOTE: Fulfills subfield core requirement for both arch and phys. Course open to Anthropology students only. Open to NYCEP students only, permission of instructor required for all others. Open only to Level 3 Anthropology students. Cross listed with C L 78200. This section open to Anthropology students only (or by instructor’s permission). Open to GC Anthropology students only. Open to continuing students participating in Fall 2013; Dates TBA.